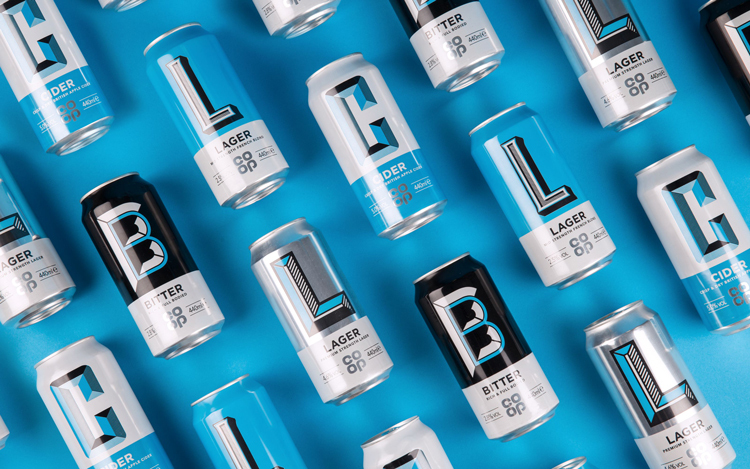 Studio Robot Food has given the Co-op range of beers, cider and spirits a new look with a consistent style and colour palette, that aims to change perceptions of supermarket-branded alcohol as being “inferior” and a last resort. When you think of own-brand alcohol, connotations of student binge drinking, cheapness and the faint taste of paint-stripper come to mind. But how many of these presumptions are down to packaging and branding? 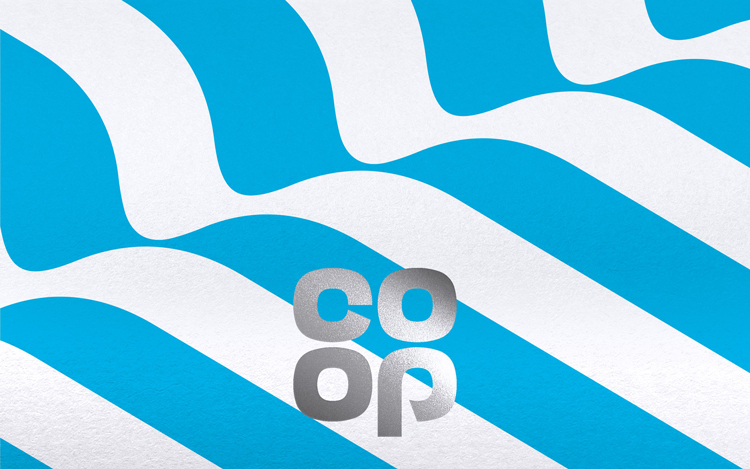 The Co-op is known for its focus on brand design, having previously commissioned studio North to rebrand the supermarket chain in 2016, giving it a more minimal logo and a purely blue-and-white aesthetic. 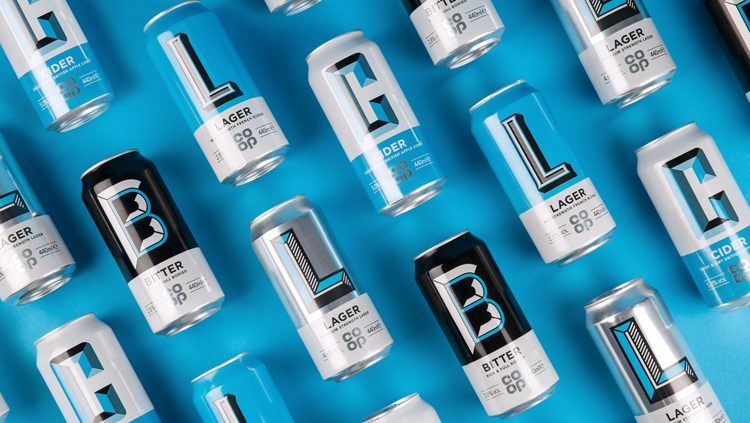 Now, the brand has commissioned Robot Food to redesign its own-brand alcohol range, which includes beers, ciders and spirits, retaining the blue-and-white palette associated with the brand but adding a silver shade and monochrome. 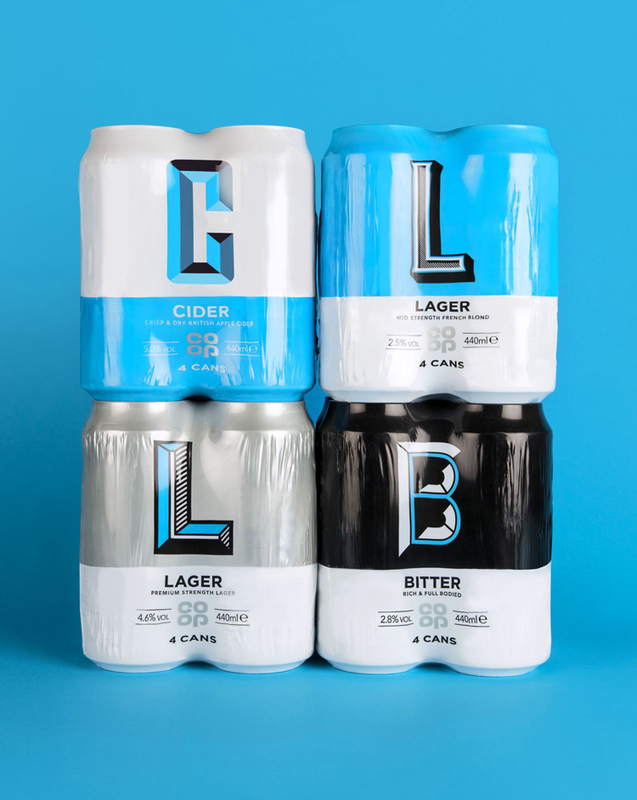 While all the labels and packaging are black-and-white, with hints of Co-op blue and silver, different forms of alcohol take on different illustrative styles – beer and cider packs aim to be “straight-forward and easy to understand”, says Ben Brears, senior designer at Robot Food, through a simple design featuring a block letter indicating whether it is a “lager” or “bitter”, for instance. 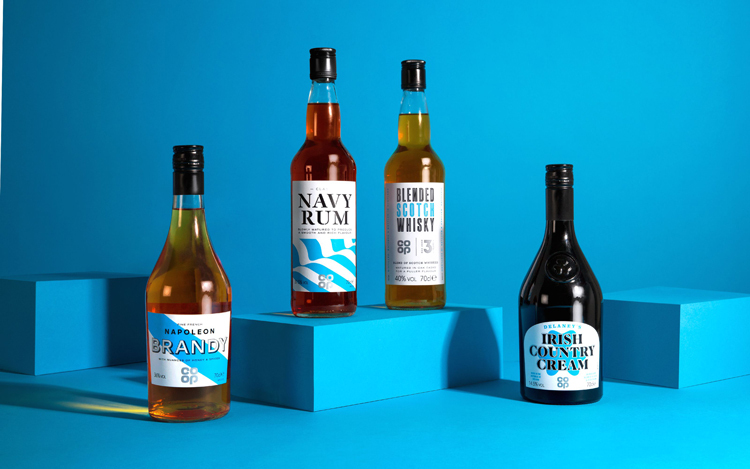 The spirits feature different style, from a Russian constructivist-inspired striped design for vodka, to a blue-and-white illustration of the sea accompanied by a more sombre sans-serif typeface for the navy rum. “Spirits tend to be a more considered purchase decision but are often viewed from two metres away over a counter, so they needed to have their own identifiable design traits,” says Brears. The Co-op’s alcohol ranges were previously a mish-mash of different colours, bottle shapes, typefaces and illustrations. 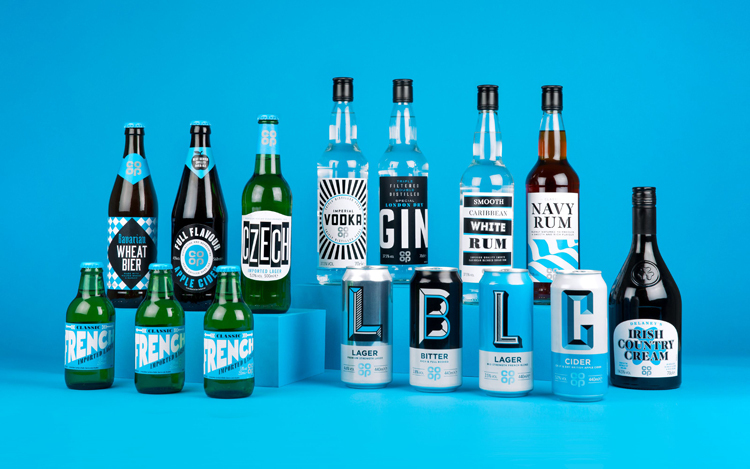 While the new identity looks to give each type of alcohol its own unique style, a limited colour palette, as well as consistent bottle and can shape and style aim to give the range a Co-op feel, adds Brears, while retaining the “personalities” of the different sub-brands and an “eclectic” feel. 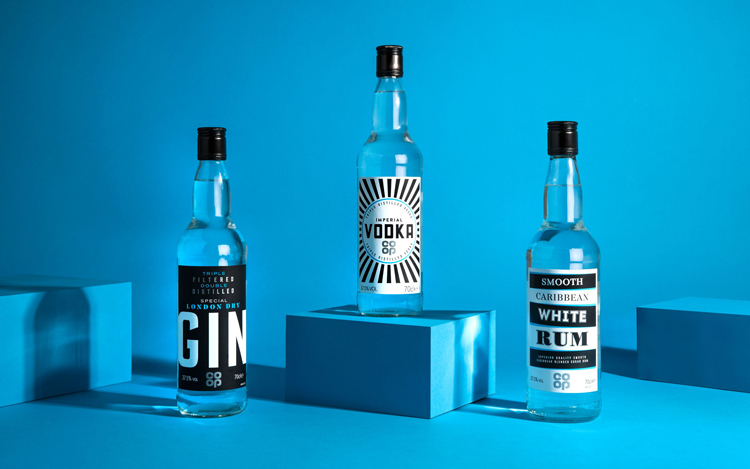 The unified look aims to change perceptions of own-brand alcohol ranges as being sub-standard and not being a brand within their own right – having a consistent identity helps to establish a range as more legitimate. 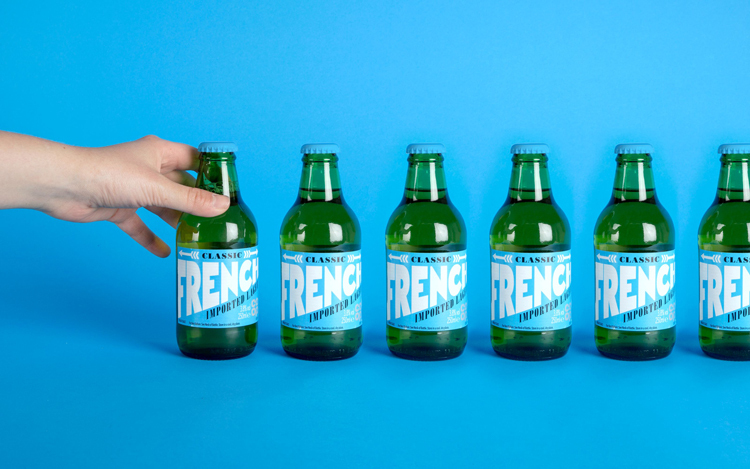 The new branding and packaging is currently rolling out across all on-shelf, Co-op alcohol products.